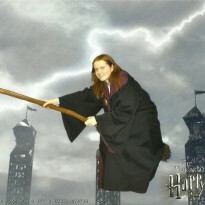 So I’m still on my break from reading Wicked. I intended to just read “Any Way You Want Me” and then go back to Wicked, but I couldn’t resist picking up another one of my new-used Lucy Diamond Books. I decided to pick up the next one that was written, and this was “Over You”. I will say that I wasn’t as gripped by Over You as I have been with Any Way You Want Me, the Beach Cafe books and Summer at Shell Cottage, but it was still an enjoyable read. The story focusses on the middle aged character Josie, whose life falls apart completely after a night away with her friends. When Josie arrives home to her family (her husband of 7 years and her 4 year old twin boys) all is not well. With Josie’s husband Pete acting all shifty, along with Josie’s best friend Lisa, Josie’s world falls apart when her husband announces that he’s leaving her for another woman. But how will Josie get on with single parenthood, and will she make things up with Pete? Over You was a good story, but like I said, it wasn’t overly gripping. I would have preferred to see more of Josie’s blossoming relationship with her best friend’s brother Rob, but unfortunately there wasn’t any more, aside from a small epilogue set 8 months later, so I would really like to hope that Diamond will continue Josie’s story at some point in the future! The story line of the book was ok, it wasn’t exactly predictable, and it didn’t seem to be much more than a couple of months in the life of Josie as she moved on after splitting up with her husband. Having said that though it was an enjoyable read, and I really loved the characters, in particular Josie’s 2 little boys, Sam and Toby, and not forgetting Emma and Nell! 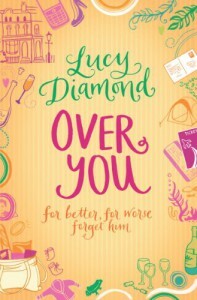 Over You was another good book by Lucy Diamond and I’m glad I picked it up! Looking forward to which one I pick next!